It's time to celebrate the end of January, Christmas is over for another year and life is getting back to normal after the holidays - so, why not share a lovely Summery virtual cup of coffee with me while I update you on what's been going on in my life lately. I love a good 'Taking Stock' blog post, so I hope you'll humour me and sit a while as I share my news. I've been busy getting back into the swing of things with the new year well underway. To kick the year off I chose a new Word for the Year - MORE and it'll be featuring in my posts throughout the year - it's not the greedy type of "more" - it's about expanding and opening up to what life is going to bring in the year ahead. I'm still enjoying just committing to posting on Mondays but I've cheated a bit on Saturdays and I'm going to be alternating some new "AtoZ of More" posts with my Saturday Snippets. I'm not participating in the April AtoZ Challenge this year, but I loved the idea of expanding on "More" with an AtoZ - so I've covered "A" and "B" this month and we'll see where we go from there. I thought I'd add in a monthly update of anything I'd been doing MORE of this year - to keep me moving forward with my WOTY. So, here's a couple of things from January - I've started a new eating regime that I'm trialling for a few months to see if I can drop the pesky kilos that didn't respond to the 16/8 eating plan. I'm also checking out possible job options as an alternative to facing another year of work drama - it feels like I'm being proactive instead of reactive with this. And finally, we had our first consult with a Financial Planner to start getting a handle on whether we can afford to retire before we die! Hopefully he'll give us some good news. 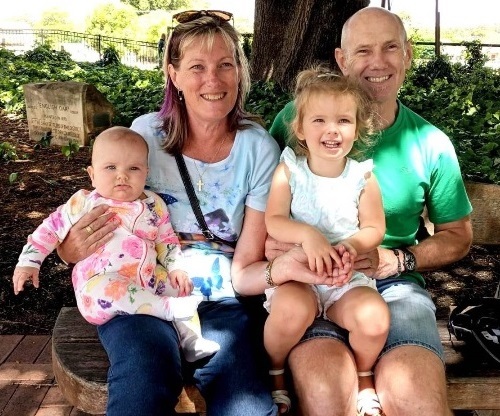 We had a wonderful post-Christmas visit our grandgirls and their parents - going out for coffee and cake, visiting the giant playground in a nearby town, popping down to the beach, and generally spending some wonderful quality time together. It's always sad to see them go, so we squeezed in a Sunday visit last weekend so we could see the grandgirls and catch up with both lots of our kids. Our daughter and son-in-law had been in Japan for two weeks, so lots of news from their world. There's no photos from last week, but this was taken during the December visit with us - Georgia is 4 months old and Sophia is 2½ - time's just flying by. January has been a quiet month for travelling anywhere, but we decided to have a lovely little week's break starting on the 31st. 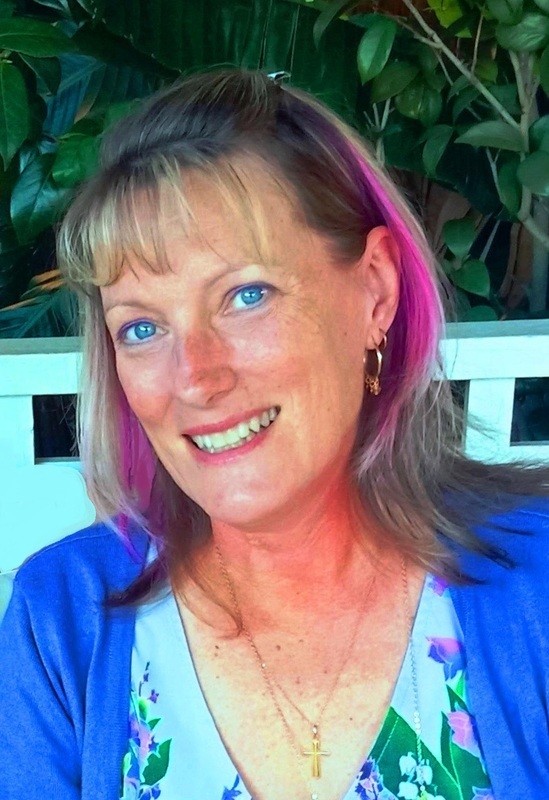 We're heading over to Queensland to enjoy a different part of Australia and the best bonus is that I get to meet my BBB (Best Blogging Buddy) Sue Loncaric from Sizzling Towards 60 and Beyond! We've been promising each other that we'd meet IRL one day - and that day is almost here. As well as that, we've managed to gather a few more lovely Aussie Midlife bloggers together for a lunch date - it's going to be a blast! More on that in my February wrap up. My Christmas present from our kids was a 1,000 piece jigsaw that was a family montage put together by our daughter and then sent off to be turned into a jigsaw. It was beautifully made and great quality - I love it when puzzle pieces lock together properly and each has a specific place it fits! This one was trickier than it looked - lots of black suits and shirts, lots of white wedding dresses and baby wraps, plus a fair amount of pink tops thrown in for good luck. It took me several days and was worth every minute. We're going to hang it on the wall now that it's finished. 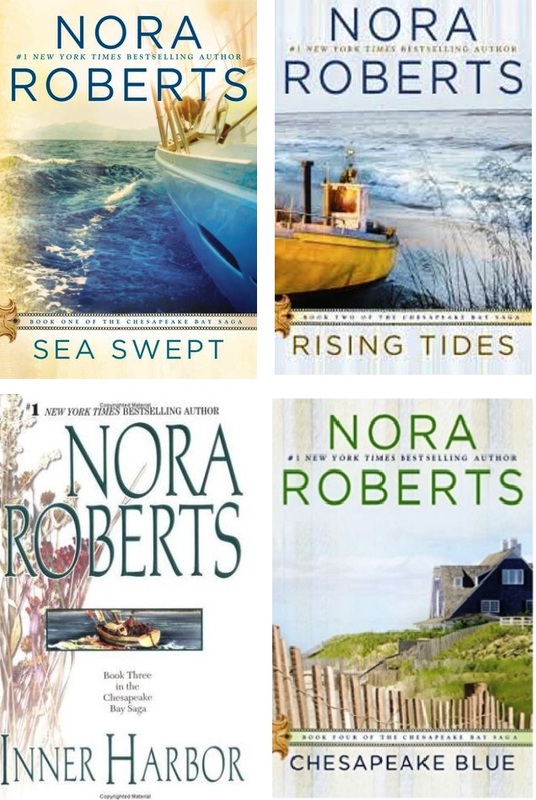 I've been having a bit of a retro month - and re-read Nora Roberts Chesapeake Bay series. It felt like I was hanging out with some old friends for the holidays! This month we took ourselves off to watch the Aquaman movie. Fortunately we went with fairly low expectations (the reviews weren't fabulous) and we came away thinking that the reviewers were pretty spot on. The special effects were really clever (the hair moving "under water" was well done etc) but the plot was very thin and it all got a bit lost in translation. It was still an enjoyable outing but I don't think I'll be adding it to my top 10 for the year! Well, that's my month in a nutshell. At this very moment I'm about to head off to meet my blogging friends and see a little bit more of this lovely country I live in. I hope your January has gone well and I'm already looking forward to another chat at the end of February. I love Nora Roberts, too. I love to reread, we are a rare batch. Hi Sue - I am crossing off my entire afternoon for that lunch - we'll have laryngitis by the end of it! Then a few days to recover before doing it all again the following Wednesday :) And yes, any Nora Roberts book is worth a re-read IMHO! Hi, Leanne - Thank you for the lovely catch-up. Enjoy your trip to Queensland and your IRL meeting with Sue. I am totally jealous. FOMO!! 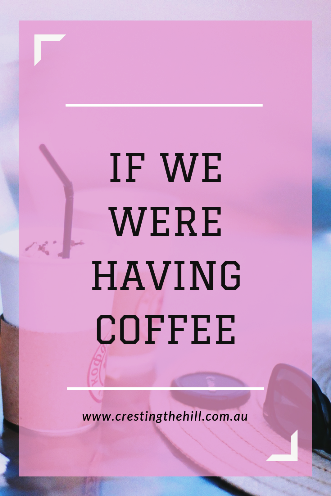 Now you know what it was like for us when you were catching up with Kathy and your other blogging buddies - it makes me wish there was a way to teleport and cut the distance factor out of the equation! Such a cute picture of you and your granddaughters! I hope you get to retire. Spending more time with grandchildren is one of the biggest perks of retirement! I've just had a few week's holiday and I could easily have kept on and never returned to work! My husband tells me that going to work makes the days off sweeter - I'm not sure it I completely agree, but they do break up the week I guess. More grandbaby time would definitely be on my retirement wish list! Wow, busy, accomplished month! I love the jigsaw puzzle, what a clever idea. 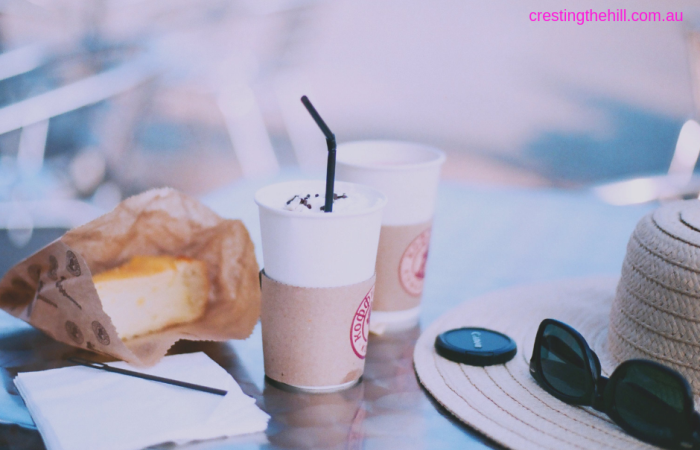 BTW, this is one one of my all time favorite themes for a post, the cuppa! Have fun on your IRL meet!! Leanne, I always enjoy your taking stock posts. They remind me how much I've also done this past month and other things I should look into doing. I am a Nora Roberts fan as well... and yes, I have re-read a number of her books. I love her 3-4 part ones! I actually think I have read every one of her books (been a fan for awhile), so I look forward to her new books now. Hubby just started a jig saw puzzle.... and it's got huge portions of just blue. Ack. Wonder how long this will take to accomplish. So looking forward to you post about the IRL meet-up. How fun!! Thanks Natalie - it's going to be such a fun trip and the meet-up is the icing on the cake. I've never been to Queensland so it's all quite exciting for me and a great break in my routine of life. I watch Aquaman too! It's not the greatest superhero film, but it's not the worst, and everything it has to offer has been done better. Hi Okcheori - thanks so much for stopping by and leaving a comment. And yes, you summed up Aquaman very well - trying hard but not quite getting there I think is the best description of the movie. It's always so nice to look back on the month this way. I love your word More. I'm trying for Spontaneous this year. It's so opposite of me, but that's the reason I chose it. I can't really say I've done anything so far, but it's always in the back of my mind. And you have such wonderful inspiration sitting in your lap. Inspiration for your inner child fashion!!! Spontaneous is a great word Jodie - if I took that one on my husband would roll around on the floor laughing - he thinks I'm the most ordered person around (aside from himself!) I think a little bit of spontaneity is wonderful - and maybe that tulle skirt could be the beginning for your year? Hi Cheryl - I had three weeks off over Christmas and New Year and absolutely loved it. It was VERY hard to go back to work on the 14th January. I'm so pleased I've been given this bonus week off to head over and check out Qld and the other blogging girls. I do hope you'll think about a trip to Bunbury if you're over here visiting sometime - a cuppa together IRL would be lovely - enjoy Berlin though - it sounds like fun. Glad to hear you've been getting enough holiday time! Would love to pop down to Bunbury next time we're over the other side of the world :-) It's not planned for anytime soon, but I'll definitely let you know when we decide to go again. Enjoy your holiday in the east! into a puzzle - what a great idea! facing snow and below -0 temps! Yes, the weather differences always blow my mind a little - seeing pics on FB of all that snow while we're basking in blue skies and sunshine. The jigsaw was a great gift and fun to do too. I look forward to the blog post about your long lunch with Sue and other bloggers. Catching up in real life is fun and I hope to catch up with more bloggers as time goes on. Have fun. I can't wait to meet them all in the "flesh" Suzanne - it's going to be a blast and I'm sure we'll talk ourselves to death! I am so happy that you get to meet Sue in person. I hope that you write about it and share pictures! I have never met any of my blogging friends in real life, but it would be fun. I also love the puzzle- what a great gift idea! I've met Jo from Lifestyle Fifty because she (miraculously) lives quite close by. This is a big adventure for me going across the country - but an absolute delight to meet and spend time with Sue - and with some of the others too. Will definitely be doing an update on my adventure. I can't believe it's almost here and we'll actually meet Terri - it feels like we know each other really well but having an entire continent between us has been a bit of a bummer. I will definitely be passing out hugs left, right and centre! It's always such a joy catching up with the kids and grandgirls Christie - I really miss living nearby, so every catch up is a blessing. And hard to believe that I'm on the other side of Australia as I type this and meeting all the blogging buddies soon - just fantastic! I loved that photo Patrick - it was just such a fun day and it shows on our faces doesn't it? Definitely try a Nora Roberts book or two Jo - she is sooo prolific and writes in several different genres so you should find one you like. And YES! I'm very excited about meeting the East Coast girls - not so scary after meeting you and finding you were as lovely IRL as you were on the blog - it should be an absolute blast! Hi Jan - I'm so excited about meeting them all - especially Sue because I feel like we know each other so well already - it will be quite weird sitting across the table from her instead of across the country! I'm sure there will be a photo (or two or ten) Jennifer and maybe even a post to cover my Brisbane adventure - we have so much planned and the bloggers are my icing on the cake! I am really looking forward to hearing about your meet up with Sue!! So much fun!! I know Cherie! I've just arrived in Brisbane and the big catch up lunch is tomorrow - we are going to talk each other's ears off - then I get to do it all again next week with a group of us - it'll be fabulous! 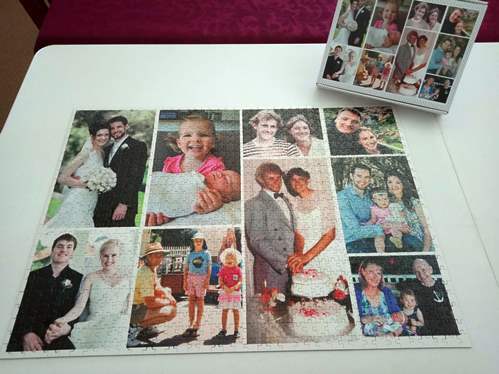 Hi Leanne, I love the picture of your granddaughters and the puzzle is so neat! Wish I was in Australia to meet up with all of the lovely blogging ladies! We saw Aquaman and liked it, but I thought it was a bit long. Your comment about retiring before you die is so funny. My husband has no plans for retirement because he says the second you retire you lose your health insurance and then you get sick and your bankrupt. Medicare doesn't cover much. I'm hoping to keep working long enough to afford decent health cover in retirement Amy (it's probably different here in Australia than in the US). But I really need to do something proactive about my work situation - so we'll see what 2019 holds. What FUN - you get to meet Sue IRL, along with others. I'm so excited for you. ENJOY your get-away time! I'm excited too Trisha - and so is Sue - we've been doing the countdown and I arrived in Brisbane this evening - big meet up with Sue tomorrow and then lunch with the other bloggy girls next week! Your holidays sound lovely - and I look forward to hearing how you incorporate "more" throughout the year. Hi Molly - I hope you got to see Sue and me on my FB page - it was a wonderful meet-up (could have talked for another few hours!) and then I get to meet some more of the blogging girls in a few days - can't wait! It's tricky meeting up Victoria - we all feel so close but the actual mileage is such an issue! I probably won't get to do this again, so I'm making the most of the opportunity and it's been amazing so far! What a great month! Love, love, love the jigsaw puzzle. I love that jigsaw puzzle! What a great idea. It's was a great gift Janet - the photos were favourites of mine too, so a nice mixture of the family at different stages. I LOVE Nora Roberts Michelle and she's still hammering away - her novels have gotten better and better over the years - and her JD Robb authored series is my absolute favourite. So fun reading these types of posts and reading what others are up to. I'm trying to be a little bit more intentional about reading myself. Glad you got to meet some of the others! Not sure what happened to my name..Marya from Chronic Mom LIfe saying hey! I love reading too, Leanne, and Nora Roberts has always been one of my favorite authors. My husband got me Kindle unlimited for Christmas, and now I can order as many books as I like and just return them, virtually, when I'm finished. Glad you got to meet up with Sue. It looks like you had a really nice time. I look forward to reading more of your posts. Have a great day.